Collaborate everywhere. 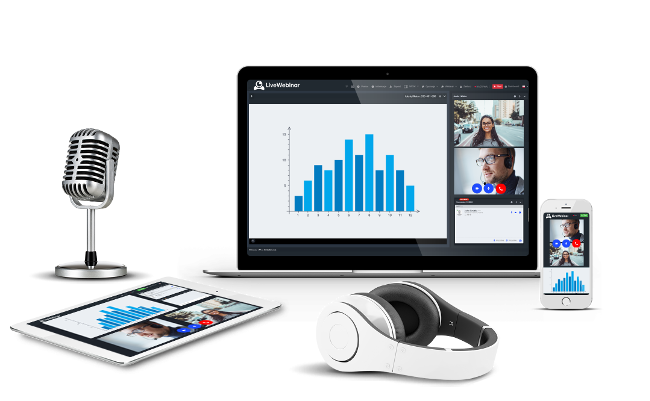 Try an advanced platform for webinars fully tailored to your business. No credit card required. Get more results from your webinars. Automatically subscribe your webinar leads to marketing automation tools, CRMs. Live Webinar helps you build email marketing lists. Missing integration? We will make it for you! Don't be restricted by your browser or operating system. Live Webinar is the only webinar software that runs on so many platforms. Find out how leading brands and businesses use Live Webinar real time communication technology to get real results. Your code can contain 9 digits only. Copyright © 2019 Live Webinar. All rights reserved.